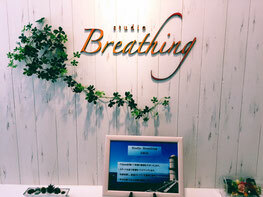 Welcome to Studio Breathing ! Whatever your purpose is--alleviation of your shoulder or back pain, post rehab, or strengthening of inner muscles--our STOTT PILATES instructor helps achieve your goal no matter what your athletic level is. We cater to a wide range of clients from beginners to advanced athletes. Our small class environment provides more tailored exercises to meet your specific needs. Your pain sacrifices QOL, impacting various activities in your life. A feeling of malaise makes you feel unmotivated. We are here to help you gain relief from chronic pain such as back problems, stiff shoulders, knee pain. It is our pleasure to make you happy. 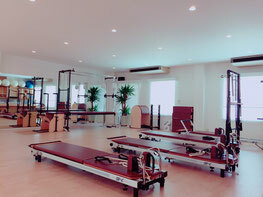 Our classes are small sized--mat (max 12), Reformer (max 4), semi-private, and private. We are equipped with Reformers, V2Max Reformers, Cadillac, and Chairs which enable you to exercise effectively without overloading your body. We value each individual and provide effective training. We offer high-quality classes at reasonable prices, hoping that more people incorporate Pilates in their daily routine, as it is more effective to practice on a regular basis. Be mindful of your own body. You'll be aware that there are various signs your body shows. Your body starts transforming once this awakening occurs. We are conveniently located near Ohashi station. Please stop by at your convenience.